The difference between a great haircut and one that’s not-so-great often comes down to the details. The finishing touches are essential, and that’s why professional barbers and stylists include hair edgers, aka liner clippers, in their arsenal. A barber with a quality edger can truly transform a haircut, which is one of the reasons why we’ll review the best hair edgers for men, leading off with the Andis T-Outliner in this article. Along the way, we’ll look at hair edger buying tips and some rules for getting the best performance from your edger. 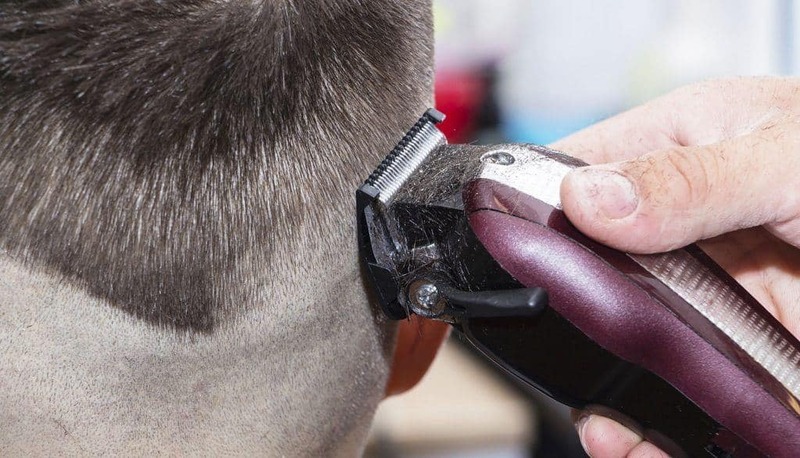 What’s the difference between hair edgers and clippers? Shopping for the hair edger that best fits your needs is sometimes a challenge but hardly impossible. Moreover, there are some things to keep in mind that help make your buying decision an easier one. The quality of an edger’s blades directly relates to its ease of trimming and whether you’re able to create the look you wish to achieve. That said, stainless steel blades are usually a great choice when looking for a quality edger that won’t let you down. One of the many attributes of stainless steel blades is that they’re durable enough to last a long time. For professionals who spend long hours in the shop or salon, blades that don’t dull or wear out quickly are mandatory but don’t count out other types of steel, including carbon (although carbon is typically more prone to rust). It’s also worth your time to check out hair edgers that feature self-sharpening blades. The latter help ensures that you won’t have to replace your edger because of blades that lose their edge before their time. Your edger should have a motor that delivers consistent power while making it easier to perform each trimming job thoroughly. Many liner edgers come with magnetic motors, while pivot and rotary motors provide other options. Magnetic motors feature a simple construction with a spring and electromagnet that work together to vibrate the blade back and forth. Magnetic motors provide less power than pivot and rotary motors, and you’ll find them on many inexpensive models. Pivot motors are similar to magnetic motors but use two electromagnets and no spring. While the blade’s speed is less than on a magnetic motor, a pivot motor generates twice the cutting power. The additional power makes it easier to cut wet hair; many professional barbers and stylists prefer clippers powered by pivot motors. Rotary motors provide the oomph behind the most powerful clippers on the market and, in most cases, are only needed for bulk hair removal, like dog or horse grooming. Most professionals and do-it-yourselfers prefer quieter motors that don’t create a racket, whether it’s in a barbershop, salon, or at home. The versatility of an edger often comes down to its number of attachments. Some products come with guide combs, which are a help when cutting thicker or longer hair, as well as taper-style combs that help you to create unique fade designs. Versatility also means an edger that can do more. A versatile edger enables you to focus on several areas: beard, sideburns, back of the neck, around the ears, etc. Many of the top-quality liner clippers come with controls that enable you to create several cutting lengths. Others have taper levers that help you to cut different lengths of hair. Is the trimmer equipped for corded, cordless, or both uses? In either case, you need a power source that lasts and helps prevent a motor from losing speed or efficiency. Some edgers come with a rechargeable battery for cordless use, while others come with a power cord that must be plugged in for the edger to run. There are advantages and disadvantages to both types of edgers. Those that run on batteries generally provide more freedom of movement, and you can use them practically anywhere. A disadvantage of a battery-powered edger is the risk of the battery running out of power, which is never a good thing in the middle of a cut or trim. Cords provide a consistent source of power, as long as there’s a power source. The cord should always be long enough that you can move around freely while maintaining a firm grip on your hair edger. A hair edger’s design goes a long way toward determining its overall effectiveness, as well as its ease of use. For one, your edger should have a handle that’s easy to grip and use. Some come with rubber grips that help to provide a sturdier hold, while others feature grooves that facilitate a firmer grip. The bottom line is you need a firm grip that’s easy to hold and doesn’t place undue stress on your hands. Another thing to look for regarding design is whether it’s vibration-free or not. Many quality hair edgers feature an insulated housing design that eliminates annoying vibrations, but anything in the design that keeps vibrations to a minimum is a plus. Edger body types also come in a variety of sizes. It’s important to find the size that you’re comfortable with and which best fits your hand, cutting technique, and day-to-day operation. An edger’s functionality is paramount, but that doesn’t mean you shouldn’t consider an edger’s brand. 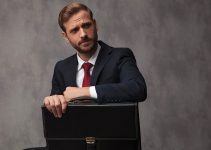 The top brands often include more features – and thus provide more versatility – and often come with strong performance and manufacturer guarantees. True, better brands may cost more, but they may make for a better long-term investment. Raise your hand if you prefer a trimmer that’s hard to maintain. Right – not a lot of hands. Look carefully at the cleaning and maintenance functions and how easy they are to perform. Also, look at the reviews of other users. Do certain maintenance issues crop up in those reviews frequently? Now, let’s move on to our reviews of the best hair edgers of 2019. 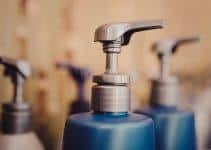 Andis is a major player in the world of grooming tools, and they didn’t earn their status by churning out mediocre products. You’ll find their Professional T-Outliner Trimmer listed in many best-of reviews – and with good reason. Features Andis’s close-cutting T-blade that includes fine-cutting teeth. It provides exceptionally close cutting and is also ideal for fades and design work. The design is first-rate and has a contoured housing that fits easily and comfortably into your hand. You’ll get hours of use from it without feeling fatigue in your hands, wrists, shoulders, or back. The contoured body also means you can get a firm grip on the T-Outliner, even if it’s a tad bulky. The electromagnetic motor is powerful and also relatively quiet. You won’t have to shout over your trimmer to chat with customers, for one, yet some say the T-Outliner motor is four times more powerful than motors found on most other hair edgers. It’s capable of reaching 7,200 strokes per minute, which means you can cleanly trim any hair, whether it’s for outlining, dry shaving, or even fading. The Andis Outliner blades are made of carbon and provide a precise cut, whether you’re doing touch-up work or hair designing. It comes with an 8-foot power cord that keeps the motor operating at full power while also offering exceptional maneuverability. The blades are adjustable, which is a must for professionals who get different requests every day. You can deliver a personalized trim and cut on one person and then easily adjust to working on the very next customer who settles into your chair wanting something different. The T-Outliner comes with a 1-year product guarantee, so you can try it with little risk. Andis makes some of the best trimming and clipping tools in the world, and it’s hard to beat their overall quality. The T-Outliner is a premium product that will serve you well no matter the job at hand, and it’s the best hairline trimmer you can buy. It’s the right tool for handling what demanding clients want. Wahl can make a strong claim for being the most popular brand of beard edgers, clippers, and trimmers in the U.S., at least if overall sales mean anything. Their 9818 model is one of their latest and best innovations, and it serves a variety of trimming needs. Indeed, its versatility is one of the primary reasons professionals and do-it-yourselfers prefer the 9818. It’s a multi-purpose tool that has the power to shave, cut, trim, and do fine detail work. Versatility comes from, in part, 12 attachment guards and four clipper heads: a precision T-blade, a detail shaver, a detail trimmer, and even an ear, nose, and eyebrow trimmer. One of the obvious beauties of having multiple clipper heads is that you won’t have to use one head while trying to complete different jobs – including putting the perfect finishing touches on each client. The 9818 features Wahl’s self-sharpening stainless blades, which rank among the best in the business and also among the longest-lasting. Another plus is the 9818’s Lithium-Ion battery technology, which provides up to four hours of run time before you need to recharge the trimmer. It also powers a potent motor that helps to deliver superior performance, no matter what the job entails. What’s also cool about the battery technology is that it gives your trimmer a full charge in one hour to produce another four hours of use, while it also has a 1-minute quick-charge feature that gives you three minutes of use, which is usually enough for quick edging and trimming work. The Wahl 9818 comes with a smart LED Charge Indicator that lets you know the status of your charge and when it’s finished charging. The charger shuts off automatically once the battery is back to full power. Finally, the 9818 comes with a host of other stuff, including a storage pouch, charger, cleaning brush, beard oil, and full instructions (in both English and Spanish). It also has a dual voltage, which makes it ideal for international use if you travel. Like Andis, Wahl has years of expertise behind it in designing and manufacturing the highest quality trimming tools. Their 9818 trimmer is a standout in a long line of quality products and easily rates as a leading hair edger for men. Another Wahl product we like is the 5-Star Razor Edger, which comes from the company’s commercial-grade line of products. As such, it’s designed for professional use only. Like the Wahl 9818, the 5-Star Razor Edger comes with many helpful accessories, but its performance is what helps separate it from all the rest. It’s ideal for precision trimming and edging and versatile enough to deliver razor-close cuts, no matter the task at hand. The Wahl 8051 Razor Edger features adjustable, T-shaped blades that provide precision trimming and edging and, thanks to Wahl technology, have a greatly improved blade stroke. It also comes with a powerful electromagnetic motor that doesn’t overheat, even after long hours of use. We also like the 8051’s ergonomic design that’s shaped for excellent maneuverability while reducing hand fatigue and other potential physical issues. It comes with an 8-foot chemical-resistant power cord that gives plenty of room to operate without worrying about the cord tangling. It comes with blade oil (oil the blades before you use them the first time), a cleaning brush, and instructions. Wahl’s 5-Star Razor Edger is the choice of many professionals who rely on the best tools to earn their living. It combines style and function while creating an all-around edger that delivers the best results every time. 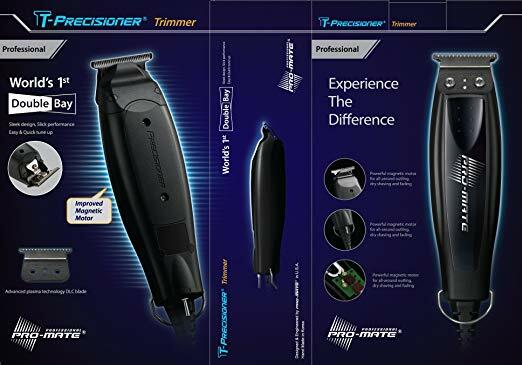 The Pro-Mate T-Precisioner is another product built with professional barbers and stylists in mind and easily ranks among the best professional barber edgers around. What are zero gap blades? Zero gap refers to the close alignment of the threads on a blade, so that the gap between the threads is on the lower side. In turn, the blades provide exceptionally close cutting and trimming that lessens the probability of missing hair in between gaps. The Pro-Mate T-Precisioner blades consist of advanced plasma technology DLC (Diamond-Like Coating) blades. DLC blades feature the unique properties of natural diamond – including exceptional hardness, low friction, and superior corrosion resistance. Rest assured, the Precisioner DLC blades won’t lose their sharpness in a few weeks or months and are designed to handle the heavy loads of professionals. Another plus of DLC blades is that they tend to stay cool, even during the kind of extended use that’s necessary for a barbershop or salon. Pro Mate’s T-Precisioner also features a strong motor that enables it to cut all types of hair without sacrificing precision. You’ll also like the T-Precisioner’s design. It’s sleek and fits comfortably into the hand, thanks in part to a precision grip that offers a greater degree of control than on most other trimmers. The heavy-duty power cord that comes with the Pro Mate T-Precisioner also is built to last, which, again, is vital for professionals who have to rely on their equipment day after day. Even with a relative lack of accessories when compared with other products on our list, the Pro-Mate T-Precisioner is among the best liner clippers available. It has a nice design that makes it easy to use and is built to hold up to the rigors of professional barbering. Let’s face it: some hair edgers and clippers are a bit noisy. They may feature a powerful motor – which is always a plus – but the motor may be loud enough to wake the neighbors. Well, maybe not that loud, but loud enough that it becomes an aggravation. The good news is that Oster has you covered with its Fast Feed Adjustable Pivot Motor Clipper, thanks to its Whisper-Quiet pivot motor that keeps the noise down while you keep your productivity humming at its highest level. Pivot motors, as discussed earlier, are similar to magnetic motors but produce more cutting power. Many professionals prefer trimmers powered by pivot motors because they make everyday cutting a breeze. They’re also able to – as is the case with Oster’s Fast Feed Clipper –cut through all types of hair while creating fine lines that help define a classic trim. Another nice feature of the Oster clipper is that it has an adjustable blade lever that allows you to change settings conveniently. What else? Well, this clipper’s ergonomic design is another plus. It comes with a textured housing that helps to provide a secure grip while easing the strain and lessening the fatigue of a long day spent cutting hair. The Oster Fast Feed Adjustable Clipper also comes with four guide combs, a blade guard and cleaning accessories, as well as an 8-foot power cord that gives you plenty of room to maneuver without pulling on or tangling the cord. Your clipper kit includes lubricating oil and a cleaning brush. While it comes with fewer accessories than many other clippers, more compatible combs are available through Oster’s customer service department. Finally, the Oster Fast Feed has a vintage look that may remind you of barber shops of old, although its performance is clearly up to modern standards. Oster’s Fast Feed offers the best of both worlds: a powerful motor that’s capable of cutting through all types of hair yet is also quiet. While it may be heavier than some other clippers, it has an ergonomic design that makes it easy to handle without causing fatigue. 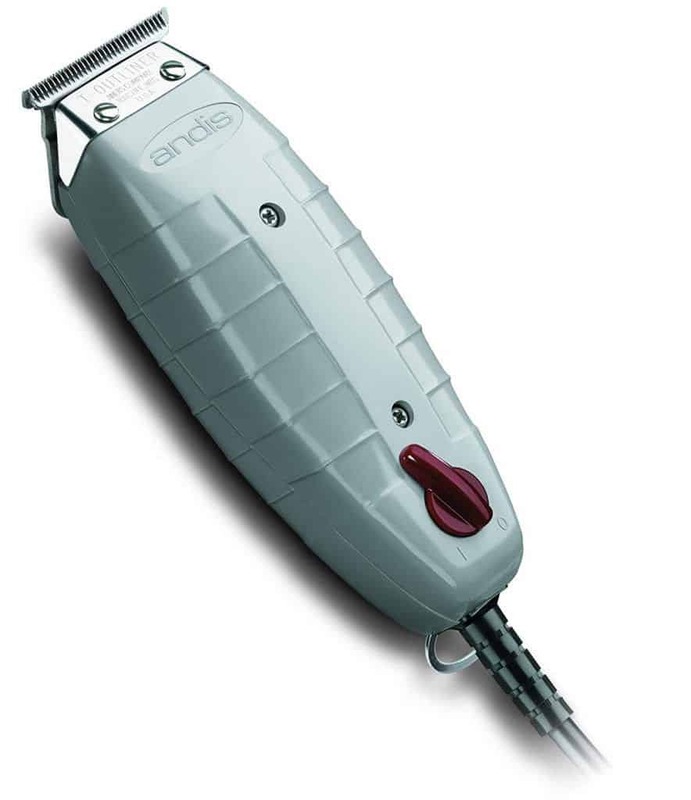 Andis has another hit on its hands with the Slimline Pro Li T-Blade Trimmer, a lightweight trimmer that packs plenty of punch and offers the convenience of cordless use. There are plenty of reasons why we include this trimmer on our list – from its powerful Lithium-ion battery to its ergonomic design. As we mentioned, it’s lightweight – although it’s a bit longer than many other trimmers – but its motor cranks out 6,000 strokes per minute, which is plenty powerful for an edge trimmer. Another thing we like is that, despite its powerful motor, the Pro Li T-Blade Trimmer’s blades don’t become too hot. When it comes to battery life, few products can match the Slimline Pro Li. You’ll get two hours of use on a single charge – double the runtime of most cordless trimmers and edgers – and it only takes a little over two hours to bring it back to full charge (which is less time than needed for most other liner clippers). The Pro Li’s body consists of ABS polymer with a brushed nickel finish, which makes it sturdy but also stylish. Even better, it’s easy to maneuver and works well for barbers and stylists who have smaller hands. Besides the trimmer, you’ll also receive a set of four guards, from 1/16” to 3/8.” The trimmer runs on 120 volts, but you can also use it for 50HZ and 60HZ frequencies. A charger stand and blade oil come with it, while the trimmer also has a 1-year manufacturer’s guarantee. The Andis SlimLine Pro Li has a lot going for it, not the least of which is that it helps to create professional edging and lining work. We also think it’s the best cordless hair edger available. How the edges and lines look can spell the difference between a good haircut and mediocre (or worse) haircut. It’s all in the details, and an otherwise nice haircut can look less-than-professional if it has sloppy edges and lines. Creating perfect lines and edges is like anything else – it takes some practice and dedication to the craft. The following are some things to keep in mind as you begin the edging and trimming process. Edging and lining take place after the other haircut work. There will be some leftover hair from the main haircut, so always make sure to clean the excess trimmings away from the areas requiring edging. 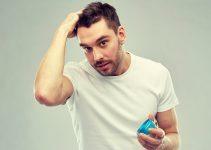 The same rule applies to excess gels, pomades, and other hair products. There’s no need to attack lining and edging work with the same force as a lumberjack felling a redwood. Remember, the blades on liner clippers are often quite sharp, so apply only the pressure you need when creating fine lines. It’s all a matter of preference: some barbers prefer to start from the middle of the hairline, while others would rather start from the sides. An unofficial poll would probably reveal that most pros prefer to start in the middle. You should line up your hair liners or edger trimmers horizontally to the hairline when starting in the middle and make vertical motions until you get to the sides. With the grain or against it? You can edge with or against the grain; again, it’s a matter of preference. Some professional barbers say it’s best to cut against the grain when the hair is shorter than a half-inch. You should cut with the grain when cutting hair longer than that, including hair that’s wavy or curly. The barber and customer must determine together how short the hairline should be for a cut with an edger. The barber can make recommendations based on the natural height and shape of the hairline, which helps determine how far back the hairline can go without looking completely out of place. Barbers also must determine the hairline for the nape of the neck; anything higher than where the earlobes end may look unflattering. It’s important to make sure that the hairline is straight across both sides, without one side being longer than the other. Once you’ve finished edging and making sure the hairline is even, do a final inspection to make sure that you’ve left no stray hair behind. A barber or stylist’s toolbox contains many items – or at least should. Some things are easily distinguishable from another – like scissors and a comb, to list an obvious example – while others, well, not so much. Such is the case with clippers, edgers, and trimmers. They share a lot of similarities, but there are some definite differences, too. Among the primary differences are the blade, or guard, size and length and what job each performs the best. Clippers are ideal for cutting long hair and usually come with a variety of attachments. The attachments make it possible to adjust the clippers for cutting length. You probably won’t use clippers for cutting close to the skin. However, if you want to shorten longer hair, then a pair of clippers is your go-to tool. They’re also the cutting instrument of choice for creating different hairstyles and designs. They’re a great alternative to scissors and also handy for cutting your hair, or someone else’s, at home. Edgers and liner clippers handle the detail work after the regular haircut is complete. It’s vital to clean up the edges and create super crisp lines, and a hair edger for men is the way to do it. Edgers aren’t designed to cut thick or long hair or to shape long hair into a shorter style and design. Liner clippers also include a T-blade (which is why some edgers are called “T-trimmers”). The corners of a T-blade protrude from the side of the clipper case to make it easier to trim the outline around the ears and back of the neck, to do edge-ups, as well as do beard and mustache trimming. A T-blade has two parts: a stationary blade and a mobile blade. The stationary blade picks up the hair – like a comb would – while the mobile blade moves up and down to cut the hair. When you’re cutting lines, such as a line to square off sideburns or square off the hairline, you’ll move the blade so it faces the skin. The hair edger market is dominated by a couple of big players – namely Andis and Wahl – and with good reason. Both companies make amazing products and continue to improve the technology that makes their trimmers and clippers easier to use, as well as more efficient. 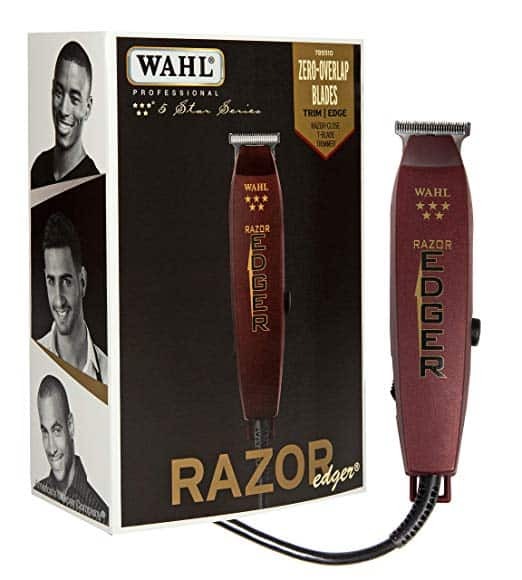 Rest assured, we kept an open mind while carefully studying the edgers produced by Andis and Wahl competitors, but, overall, Andis and Wahl tend to make the best products, and our reviews reflect that fact. 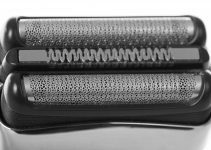 No matter what company makes the liner clipper, however, their product has to provide the ease of use and functionality that professional barbers and stylists demand. A trimmer with helpful attachments and an ergonomic design moves to the head of the list, as do those with quality blades that don’t dull quickly. We welcome your feedback, as always. What hair edger do you use? Have you used any of those on our list? Let us know!